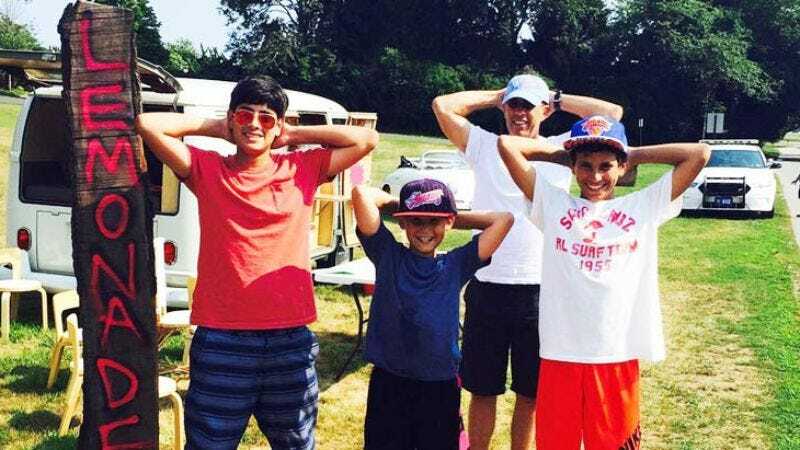 In a situation that’s surprisingly not already the premise of a Seinfeld or Curb Your Enthusiasm episode, police in Jerry Seinfeld’s East Hampton neighborhood ordered that his son’s lemonade stand be shut down because peddling of any form in the area is illegal. A local report explained that the authorities “received a complaint about illegally parked vehicles at the location of the lemonade stand” and showed up to inform Seinfeld about local laws that prevent children from selling refreshing summer drinks, even if all the proceeds are going to charity. Jessica Seinfeld posted a picture of the culprits on her Instagram, lamenting the “Lemonade dreams crushed by [a] local neighbor” (likely Newman). Jessica founded Baby Buggy in 2001, an organization that “provides essential clothing, gear, and services to families in need nationwide.” In other words, it’s exactly the type of bloodsucking institution whose unsolicited attempts at vacuuming cash out of hardworking Americans’ wallets must be stopped at all costs. Another win for the good guys.